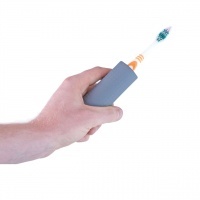 Check out our selection of grip aids for people with hand dexterity issues. 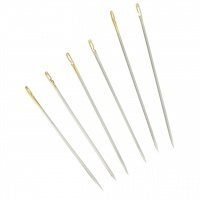 SENCH Side Threading Needles - 6pk. Comes with a lid with a mouth piece. Mouth piece has a hole big enough for a straw. A small air inlet hole in the lid opposite the mouth piece. 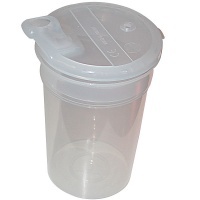 By placing a finger over the air hole you can regulate the flow of liquid. Ideal for drinking while lying in bed. 8 ounce capacity. EZ - Key Turner - This product enables the individual with limited hand movement to open the door with ease w/o additional stress. 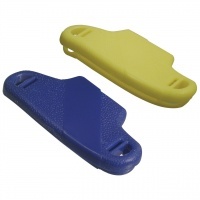 These dexterity aids feature 2 key turners per pack in 2 different colors for easy identification. Daily living is made easier for those with dexterity issues, thanks to this independent living aid. 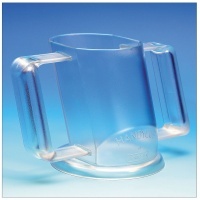 Two-handled transparent cup with extra wide base provides a secure grip and stability while reducing the occurrence of accidental spills. Unique angled design provides space for nose and eye glasses while making it possible to drink with little or no neck movement. Holds 8 oz. (237 ml) and is dishwasher safe. Warranty: 12 months parts and labor. 6.125" x 4.25" x 4"
Thread large or thin needles automatically. 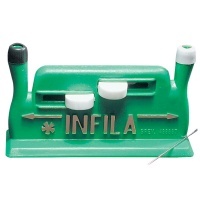 These sewing aids are designed for simple operation with a push of a button. Single or double threading. Note: Color may vary. 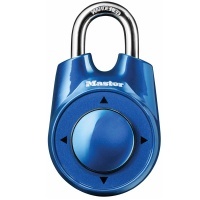 The Speed Dial Combination Padlock from Master Lock is fast, easy and secure. It's quick and easy to open with only one hand - without having to see small numbers or manipulate a dial as must be done with a traditional combination lock. 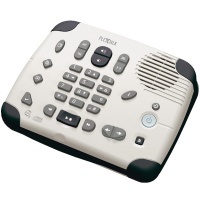 Simply slide the dial up, down, left or right in a sequence you pre-set to open it! Weight (in Original Packaging): 6.7 oz. 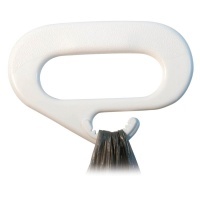 Recline your chair with ease and without any stress or strain on your hands with this deluxe lever extender. The extender handle is oversized for easy grip and easily attaches to your existing lever on your recliner. Within seconds, you will be able to take comfort in your chair and your hands will thank you. This is the perfect product for anyone with reduced strength or mobility, or if you simply want to give your hands a break. The recliner lever extender is durable and made from heavy-duty steel construction, so it is great for everyday use. The lever extender is 9" L x 7" W.
SENCH Side threading needles are nickel-plated with golden eyes. They come in three sizes only (2 of each). These sewing needle sizes are the most commonly used sizes for general sewing tasks such as mending a hem, replacing a button, or doing embroidery work on a pillowcase with 2 or 3 strands of floss. To thread these sewing needles, simply make a loop around the needle and tighten it. Then pull the tightened loop into the opening on the side of the eye. Perfect for trips to the supermarket or department store, our shopping bag carrier is sturdy and can hold multiple bags. 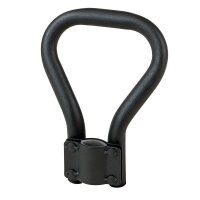 It's strong, lightweight design, makes this a great tool for anyone. 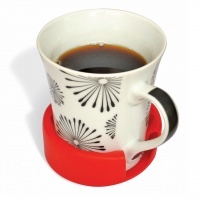 Tenura Cup Holder - Red - grips firmly onto most types of cup to provide a non-slip base, staying on the cup to help prevent spills and protect table surfaces. 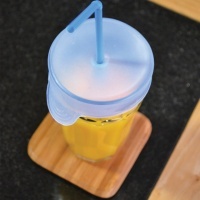 Tenura Cupcap - 2-Pack - helps prevent drinking spills and accidents. Tenura Non-Slip Cutlery Grip - Grey - large, soft, textured handle to assist gripping forks, spoons, and knives.